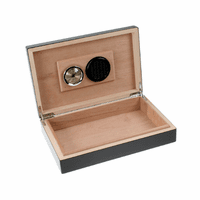 FEATURES/SPECS This personalized travel size humidor is large enough to hold ten of your favorite cigars and compact enough to fit comfortably in a duffel bag. 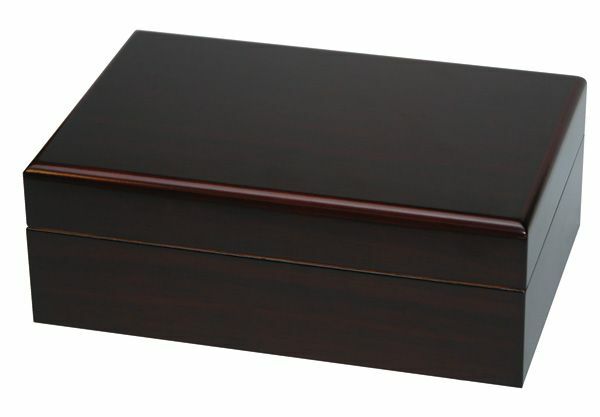 The outside has a rich mahogany finish with brass appointments. 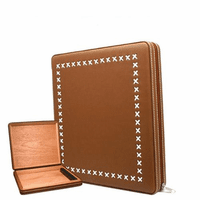 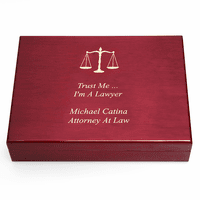 The lid can be laser engraved with the customized inscription of your choice. 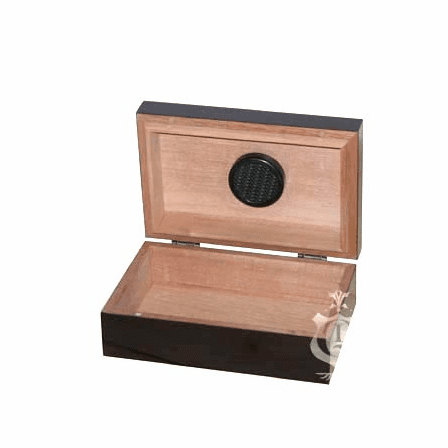 Perfect for branding this humidor as yours' or for creating a unique, personalized gift. 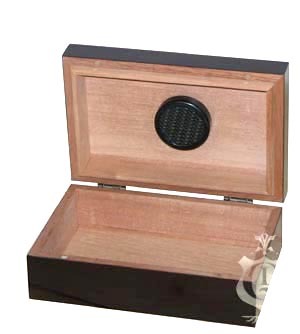 Its cedar lined interior and round humidifier are sure to keep your cigars fresh. 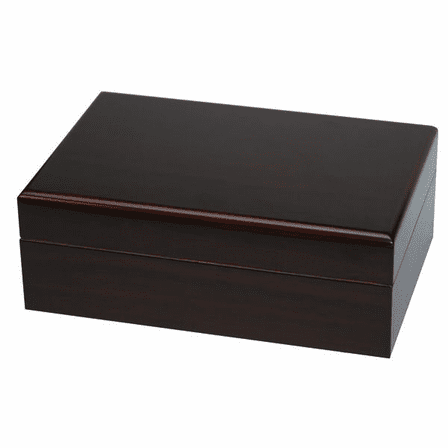 The magnetic closure and SureSeal technology guarantee a tight seal as well. This personalized travel humidor is a great gift idea for hard to shop for cigar lovers.